kapunda garden: Rain and the Stagg diary. Rain and the Stagg diary. At last the el Nino has finished, for the moment, at least and we have rain. We have had rain, off and on, for the past month. I have planted quite a few new vegetables... carrots, cabbages, cauliflowers, kale, broad beans, peas and onions, leeks, garlic and coriander, parsley and silver beet are popping up all over the place where the seeds have fallen. Today is cold and wet, and I am too sick to go to work, and so I have been reading some of William Stagg's diary. It is even more interesting that the reference to his diary previously was on 5 June 2012, when I would have been planting again as well. I often read his entry of the same date, if he has one, to see how the season would have influenced his life as it does mine. In 1885, on 9 June, William Stagg would have been 18 years old. The day before, they had killed a small pig, half of which was to be given to a neighbour, Mrs Martin who was a widow with two sons. She was going to knit William's father (also William) a pair of socks. "I took the half pig weighing 35lbs up to Mrs Martin's. The old woman was walking over her little piece of ground seeing whether the wheat was growing. She picks up every stone and weed she sees and has picked up enough stones to make a little wall around her 3 or 4 acres of ground. We was building the tank. We are going to build about 2 1/2 or 3 feet above the ground to keep out pigs and other things." 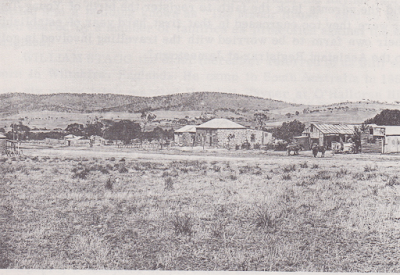 This photograph shows Tarcowie in about 1885, with the Stagg farm in the background, on the left. 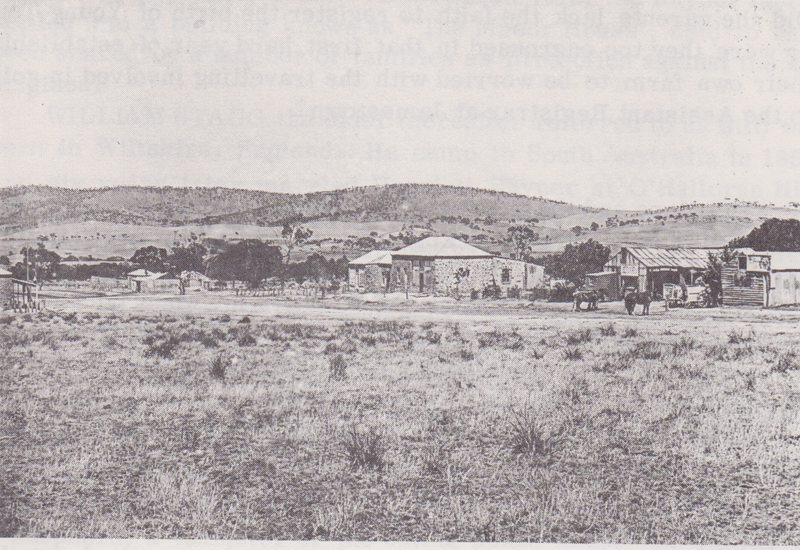 The building in the front (with a verandah) is the hotel. The Stagg family is of interest to me because, in 1855, Thomas Stagg, a farmer, married Mary Ann Newland, the older sister of my great, great grandmother, Eliza Newland. That Thomas Stagg was a brother of William Stagg, whose son William (Willie) wrote the diary. That sounds complicated, but the young man who wrote the diary had an uncle who married my great great grandmother's sister. That doesn't make us relatives, really, but it does mean that, in reading this diary, I am able to find out how my family lived four generations ago. And so it has rained over the past few weeks, the tanks here are full, and the garden is flourishing. I can only imagine how happy the Staggs would have been when it rained and crops flourished. And so this is what I have been doing while I am not able to go to work. The rain has been wonderful and such a relief after our dry summer. I hope you feel better soon.